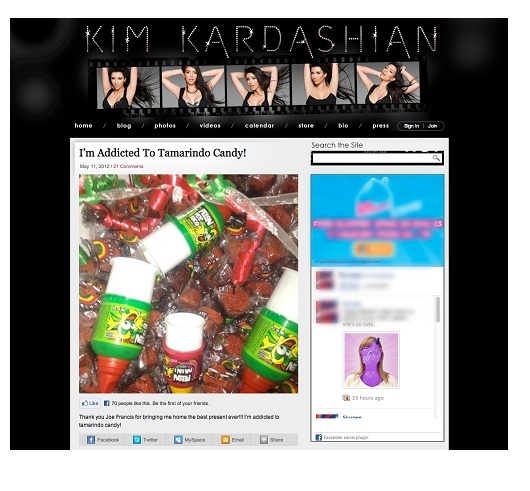 Kim Kardashian Loves Our Gift Of Tamarindo Candy! While vacationing in Mexico at Casa Aramara last week, I couldn’t help but think of my good friend Kim K and her love for Tamarindo Candy! I brought her back an assortment of the candies and was so happy to see her shout-out thanking me on her blog! Kim, so glad you enjoyed your gift! !